6:00 PM – International Scrapbook Day wrap up and grand prize!! Hello! It's Catherine here, publisher of Scrapbook & Cards Today magazine! I wanted to also join you and our team here today at the end of this great day to take a moment to say thank you to each of you, our global readers, for all the amazing inspiration you provide to us! I've always said you make it so worthwhile to do all that we do in the papercrafting industry and really, we could not do it without you! This day brings us together to celebrate, inspire, cheer and really, to feel a part of this community we all love. We hope you've enjoyed all the inspiration our team has provided today and we sure hope you've enjoyed all the prizes our amazing industry partners have offered. They love celebrating with us and love our readers! We hope you've had some time to visit their Facebook pages each hour so that they can feel your love too! If you joined us at 8:00 this morning then you saw our kick off sketch challenge. We hope you'll take some time today or this week to complete the challenge. The mystery box I've personally packed for one lucky winner is worth it and even if you don't win, you'll have a great reminder of a page you created on International Scrapbook Day 2017! To wrap up this final hour we have a fun prize package from our friends at Spellbinders! We love Spellbinders and we love this amazing package they have for one final lucky winner today! "Spellbinders is excited to be part of Scrapbook & Cards Today International Scrapbook Day Celebration. One lucky winner will receive a Spellbinders prize bundle with a value over $100+. The bundle will include a Prizm die cutting machine, a Tool-in-One, Main Attraction magnet and a selection of dies! Want to be featured on the Spellbinders’ website? Now you can. We are opening up our gallery to you! Because we love to see what you are making, we have created a Spellbinders’ fan gallery. Find out more here and check out all the great new releases at the following link. Thank you so much Spellbinders for joining us to wrap up International Scrapbook Day with this generous prize package! For an opportunity to win each hour's prizes, be sure to leave a comment below by Saturday, May 13th! Winners will be announced on Monday, May 15th! Good luck! 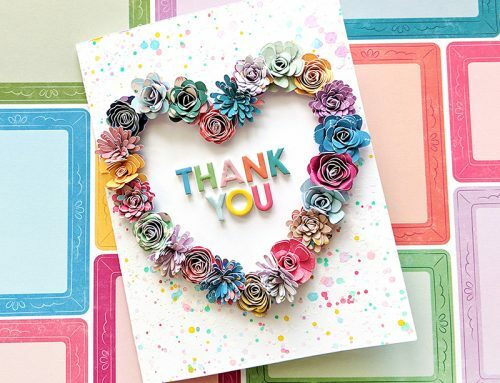 One final time, we hope you'll take a minute today to join Spellbinders on Facebook to give a hearty "SCT thank you!" If you are joining us for the first time today, please join in on the fun starting at our first post today at 8:00 am HERE! I've always said we have the most engaged, appreciative and wonderful readers out there. Thank you for all your sweet comments today and for hanging out with us as you could! It's been a great day made even greater with you here! One last thank you to our incredibly talented design team who always knock it out of the park for inspiration! How lucky am I to get to work with such talent each day? Always pinching myself. To all our partners, your support means the world to us! Thanks all! It's been a blast! We want to see what you're doing today! Please tag us at #sctmagazineinsd2017! 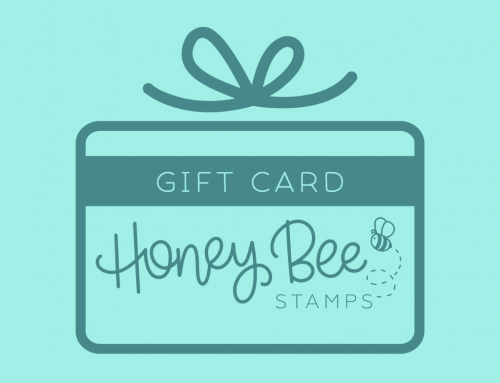 Honey Bee Stamps giveaway and 13th Birthday WINNERS! SCT’s 13th Birthday Celebration – let’s wrap it up! SCT’s 13th Birthday Celebration – Day 4!! It’s been a pleasure joining you today. Happy scrapbooking! Thanks for the chance to win and thank you to the great sponsors. Lots of inspiration on here today. Thank you for an amazing day filled with so much inspiration! I am working on my layout for the sketch challenge! Thank you for that. Thank you to all the sponsors who helped!! Thank you for such an enjoyable and inspirational National Scrapbook Day 2017! When you say grand prize you mean it, thanks for the opportunities to win all the days prizes! What a great day! As always, you guys know how to celebrate and inspire! Thanks. Thank you for another wonderful year of scrapbook and card making inspiration! And thank you so Spellbinders and all your sponsors for sharing our love of paper crafting! Super fun day! Thanks so much for the giveaways and inspiration! Thanks to spellbinders and SCT for the grand prize. And thank you to all the sponsors and creative team for a great day of challenges. What a great prize package and wonderful inspiration throughout the day! Thank you for all of the inspiration today and all year ’round! Great day with a great prize to end it all, someone will be very lucky!!! Thank you for great day.. What an awesome prize to end the day.. Thank again..? It’s been fun playing along today! Thanks for all the inspiration! A fun day! Lots of inspiration and beautiful pages. Thanks everyone!! WOW! what an awesome day with such amazing inspiration and wonderful prizes! Thanks! Thank you for all the inspiring projects and terrific giveaways! What a fantastic day you have had! Thank you for all the inspiration! So great to have a day dedicated to the wonderful hobby of scrapbooking! Thank you so much for all the great inspiration! This was SO much fun! Thanks for a day of great scrapbooking inspiration! It has been great fun! Oh my goodness what a prize. Love Spellbinders! Also thank you for a great day of inspiration. I have enjoyed checking in each hour. Thank you for an awesome, inspirational day! Even though I haven’t yet been able to sit down and create anything, you’ve given me a lot of ideas and crafting eye candy. <3 Thank you SCT! Happy iNSD!! Wat a fun filled day of creating, inspiring and sharing scrapbooking tools and techniques….ty SCT for your generous sponsor prizes! Happy day #love to craft and scrapbook! What an amazing prize package. Such a fun day to be inspired to create. Thanks to SCT, your amazingly talented design team, the people that inspired their beautiful projects, and your more than generous sponsors! It was a great way to spend NSD!!! Good luck to everyone and happy scrapping!!!! Wwwwww! What a delightful prize package from Spellbinders! Scrappers & card makers will be jumping up & down with hopes of winning today! Thanks for the opportunity! A great way to wrap up NSD. Thanks to everyone who made this day happen with all the give-aways and sponsors. I saw some wonderful inspiration today and fantastic prizes! Thank you for a great day and Spellbinders you rock!! Wow, I use a lot of Spellbinders dies. What a great prize. Thank you for a great day with a lot of inspiration. Amazing day! Thank you to Spellbinders and all the other companies that donated prizes to make this day fun! Lots of wonderful inspiration today and thanks for all the giveaways! It’s been so much fun joining with you, the designers and the sponsors for this special day. Thanks!!! Thank you for all the inspiration today! Amazing final prize–thanks for the chance to win! Thank you SCT for the inspiration. what an amazing day—it went so fast!!! Ok. So scrapbooking really isn’t what I would consider to be a strong suit for me, but I took that page map from 8am & have managed to put together a layout to enter. Scrapbooking is much more challenging to me than making cards, but I gave it a try. So much easier when you’re handed a package of matching papers & embellishments with instructions!! Thanks to you all for putting together a great day for all of us & always providing a good dose of inspiration!!! Wonderful inspiration today! Thank You!! Thanks to all those who shared their inspiration and generosity today it’s been a great and fun opportunity to see what others are creating and using their much loved supplies for. Thanks also to the companies who kindly donated some fantastic funtastic prizes. Hope I win one. Lots of inspiration for one day. Thanks for the opportunity to win. Thank you for all the inspiration! It’s been a wonderful day. Thank you for so much inspiration and all the fun along the way! Thank you to SCT and all the amazing sponsors for another great iNSD! What a great day!! Such fantastic prizes!! Thank you for all the hard work!! I had fun hanging out here today & came away bursting with inspiration. Thanks ? I always enjoy keeping up with you guys all day on international scrapbooking day. Thanks for all the fun! I just finished the sketch challenge and want to do more I’m so inspired. Thanks for all the great prizes and a fun day. Wow! Gotta love spellbinders! Oh happy day! What a wonderful day! I’m working on the two-page challenge layout, and I’ve gotten lots of inspiration from all of the posts today. Thank you so much! So many beautiful designs today. Thanks for offering us the chance to win such wonderful prizes. What fabulous inspiration today! I pinned several things to use on future layouts. Thank you for all your well planned efforts for Scrapbook Day and all the great prizes! So much fun today … enjoyed all of the posts and giveaways! Thank you! It’s has been a wonderful day of inspirational layouts and great prizes. Thank you SCT and all the sponsors for a very fun NSD. Thank you for a great National Scrapbooking Day! Love SCT and Spellbinders for the lovely prizes! Thank you for an inspirational day of great ideas. Thank you for a chance to win such great products from such great sponsors. It’s been a fun day. Thank you SCT. What a great day! Thanks for all the inspiration and prizes. This was such a fun and inspiring day! Thank you so much for hosting this fun hourly event today for NSD again this year! A huge thanks to all the sponsors too, you all are very generous! A great day…thank you! I have finished a few layouts. Looking forward to trying ideas from today!! May as well start at the end and work my way backwards…. Spellbinders is awesome! I own a lot of their dies! Wow! What a terrific day! It has been refreshing! I completed the layout of the picture of my former student and me last May in her cap and gown with inspiration from Sheri Reguly during your 11:00 hour and completed a Bible journal page on Psalm 84:11 ~ “God is our sun…” I just had to spritz it with some gold Heidi Swapp Color Shine!!! What a fantastic final prize of Spellbinders!!! HaPpY InTeRNaTiOnAl ScRaPpIiNg DaY 2017 everyone!!! Thanks for a fund day and a chance to win some great prizes! Wow! What a wonderful day of creative inspiration! Appreciation all the generous sponsors! what a fun iNSD! Now I need to pull an all-nighter to play!Thanks for the chances to win prizes! Happy scrapbooking day 🙂 what an amazing way to celebrate. Thanks for all the inspiration!! Thanks for all the wonderful giveaways and lovely postings! Thank you so much for a great day! Had a blast. It’s been fun checking out the inspirations and challenges on your blog today! I got a few pages done and feeling pretty awesome!! Thank you, this is all so wonderful! What an exciting, inspiring day…its been so much fun. Thanks to you and all your sponsors for a job well done! Thanks for hosting such a fun day. Everything was very inspiring. thanks to SCT for an exciting iNSD event.Wooo Hooo!!! What a great prize! Thank you for all the challenges today! Thanks Spellbinders for sponsoring this generous giveaway. What a terrific way to celebrate NSD. Awesome prize. Thank you for bringing inspiration and excitement to a dreary rainy day. Wow, I love Spellbinders’ dies. They are so intricate and beautiful. Thank you for the inspirations and giveaways! Thank you Spellbinders for your generous prize and for wrapping up today’s fun day. Thanks for an awesome day of inspiration! I have been following all day and it’s been great! Thanks to all of the generous sponsors and all the design team members! Thanks to all the vendors for giving everyone the chance to win great products today! Catherine thank you and all of the people you work with at SCT. Today was another wonderful lineup of products to learn about. Thanks for all the opportunities and now Spellbinders. Some of my favourite dies. Thanks again. Thank you for everything you do for this scrapbook industry! This has been a terrific day–what an awesome prize package too! I was slate to the party but have spent a fun evening catching up and collecting great ideas for future projects. Thanks to SCT and all the sponsors for a fun celebration. What a fun day-loved all the inspiration! Thank you so much for such inspiring work and sharing companies that I know of and new companies (to me) as well. Thank you! What a great celebration. Thank you! Absolutely awesome prize… the best for last! Thank you so much Catherine, to you, all the SCT team and all your wonderful sponsors for a fantastic INSD! Off to scrap now.. thanks for some wonderful inspiration. An amazing end to an amazing day! Thank you for everything! What a great prize to finish off the day. I’ve enjoyed seeing all the inspiration today. Perfect ending for National Scrapbook Day. Thanks for all the inspiration and fun. You’ve made this a fun, happy, and inspirational day. There are techniques I’m definitely going to try and I love every one of the sponsors who have been so generous. I am now following every one of them so I can continue to learn and enjoy this hobby….THANK YOU! Love Spellbinders! It’s been a day full of inspiration! Thanks for a chance to win an awesome prize and for all the fun of the day. I wish every day was a scrapbook holiday! Thanks for a wonderful day of great projects and prizes. Even though I couldn’t participate in crafting today, it was fabulous to see such talent and inspiration! Thanks SCT for a great day! So many great creative ideas today! Thank you!! wooww thanks spellbinders… awesome… happy scrapbook day!!! Thanks Catherine and the SCT team for all the wonderful ideas and for making this the best NSD ever! ?? Wow! What an amazing prize! So much fun inspiration today. Spellbinders is my favorite die cutting company and the people who work there are absolutely amazing! You can’t make a bad creation using their products! This would fit in my craft room nicely! TFS! Great day and lots of beautiful inspiration. A big thank you to all who participated today to give us all inspiration to record and preserve our memories!!! Sending a BIG THANK YOU to the SCT team and generous sponsors for making NSD such an EXCITING day! I have really enjoyed each hour, feeling SO INSPIRED, with bundles of designs and styles on my to-do list! An inspirational day, such a great way to celebrate International Scrapbook Day. That was one awesome day! Thanks to all the sponsors!! Thanks for the inspiration! So much eye candy and fun. Happy Int’l Scrapbook Day! Thanks SCT for the great day full of wonderful inspiration. I would love to win the amazing Spellbinders prize bundle. Thank you for the chance to win! A lot of inspirational samples today. Thanks for making it a great INSD!!! SCT, you made NSD magical. Thank you. This is so cool. Thanks for a chance to win. it’s been fun to look at all the projects shown today, thanks again for all the ideas and all the prizes! Love the new gallery for everyone to add to and thank you Spellbinders! Thanks for the great prizes and inspiration! I wasn’t able to join in on all the fun day, but coming in to check to see the lastest post. I’m excited for all the inspiring layouts and all the wonderful prizes too! Thanks to you all! I’ve loved spending NSD with you and all the talented designers. Thank you so much for the inspiration and to all the sponsors! This is a beautiful grand prize to wrap up the day! Thank you for the inspiration today and every day! Happy NSD! I was not able to participate in the sketch challenge today because of work obligations today….but I hope to next weekend! I loved the ideas and inspiration shared. Pinned several ideas that I plan to scraplift in the very near future. All of the sponsors were generous and super. I am thankful to have such wonderful tools and products available for this craft! Happy NSD to all my wonderful scrappy friends out there! I was running around with kids activities today, so I have to catch up when the house is quiet. Looks like an amazing day! Thanks for the ideas and fun! getting back into die cutting and thie prize pack is not only timely but fantastic! Thank-You So Much for all of the incredible inspiration you posted on your blog today! Your creative team is spectacular! Happy iNSD to all!! Thank you! And all the sponsors! Wonderful inspiration! I love that sketch. Must give that a go and as you say, would make a nice memento for 2017 iNSD ? Thank you for a wonderful celebration of NSD and this wonderful hop along with inspiration crafts and projects in all designs and colors! Loved each project and just smiled at the creativity and inspiration. Thanks for all your hard too, Catherine! Happy NSD 2017, SCT! Been such an exciting day! Thanks for the fun! And, thanks for making this all possible! The sponsors again have been generous! Wow, so sad the day is almost over. Thanks for all of the inspiration and great giveaways! Great day. Thanks to all the generous sponsors. What a fun day of inspiration and give away opportunities! Love Spellbinders! Such great inspiration for a wonderful day. Thanks for the chance to win these amazing prizes. Nothing like spending time doing something you love along with others who love it too. Thanks so much for the inspiration today and always! I love seeing so many different ideas and uses for products. This was so much fun. Thank you everyone for all the inspiration and great tips. Thanks too to all the generous sponsors. Loving this hour’s Spellbinder’s prize! So much fun on the blog today. Thank you for all the inspiration & prizes! Now, can you believe I do not own a manual diecutter yet?! I’m so overwhelmed by all the amazing dies available! Thanks for the inspiration SCT! Lots of inspiration and lovely giveaways ?. Spellbinders are the best! Happy scrapbookingday! Thank you for making our interNational Scrapbooking Day such fun & special! What a fabulous prize! Thank you so much for the day of inspiration! It was awesome joining you!! And thank you for giving away such awesome and wonderful prizes ?? Thank you Spellbinders!!! And thank you SCT !!! A lot of beautiful fun layouts today and so many ideas swirling in my head now! I hope everyone enjoyed NSD ! OMG!!! Such amazing great finale!!! Beautiful prize!!! Thanks Spellbinders and also. thank you SCT for this great day of inspiration and chances to win!!! What a fun day of inspiration and giveaways! Thanks for sharing! What a great day, full of inspiration and fantastic prizes! Thanks SCT and all the generous sponsors! Thank you, Catherine, for having the vision years ago for a community like this to exist. It’s a joy to be a part of this amazing group. Thanks for the chance to win. Thank you SCT for all the amazing work you do, to put these special contests together, year and year, and for the all the inspiration you give to helping us document our memories and favorite moments on paper. What an AWESOME prize! Wonderful inspiration, love how united Scrapbookers and crafters are! Thank you for a wonderful day of inspiration and fun! I have started a few projects that I plan on finishing this week! I hope my daughter in law likes the scrapbook of her daughters on Mother’s Day next Sunday!! Thanks again to all of you who made this day a winner! What a day of inspiration and great prizes. Thank you SCT. Thank you for a great day, although I am still working on my projects I appreciate the inspiration and opportunity to win such awesome prizes! Thank you for such great inspiration and such wonderful giveaways! Thank you for all the time it took to pull this day together, I appreciate all the hard work and efforts to make this day such a huge success! WOW what a amazing package. Always the best give aways. Thanks SCT. Great giveaway to end this fun day! Many fabulous ideas and great inspiration! Of course, winning a prize would be awesome, too! You really celebrated NSD with a bang…Wonderful inspiration and wonderful prizes. Thanks so Much. Thank you SCT for all the inspiration and all the prize sponsors – thank you for your generosity!! Thanks for all the inspiration and all the great prizes! Thanks for all the great ideas and prize offerings. Gotta love iNSD! Wow what an amazing prize and what a fabulous day of inspiration!! As always, SCT is amazing! Thank you for so much wonderful inspiration and so many wonderful prizes! Such a fun day, thanks so much for all the inspiration!! oh what a fantastic day of inspiration and amazing prizes!! thanks so much for the chance to win!! Talk about going out with a bang! Thanks for organizing all these fabulous sponsors, prizes and inspiration! Thank you for everything and to everyone who was involved to make this day special for us readers!! What great prizes you offer. I am going to go do some crafting soon. What a day’ thank you! And yet another wonderful prize from Spelllbinders. Boy, what a jam packed day! What another great prize! Thank you SCT and Spellbinders. Thank you for a super inspirational day, you’ve outdone yourselves, SCT! Thanks for a wonderful crafty day (well, weekend)! Great inspirations and so many great giveaways! You all are awesome! Thanks for such a wonderful day full of lots of inspiration and beautiful things, the super pass and I had a lot of fun thanks for sharing with all your talents, strong hugs! What a fantastic day of giveaways and fun! I was at a soccer tournament, but hope to play along with some of the challenges today. Thanks! What a great way to celebrate the day! Thanks! You really hit it out of the park this year, SCT! I LOVED the theme of taking one project and using it to inspire another. I can’t wait to get back into my craft supplies to start creating. Thank you for a fantastic day of inspiration! What a cool new tool Spellbinders! I am crossing my fingers that I will win and get to create with it soon! Thanks for being a host for NSD! Would love to win this amazing prize! What a fun day it was! What a great spellbinders package! Love to win it! THank you for having me! Thanks SCT for a great NSD – and Spellbinders for a wonderful grand prize! I hope everyone had a great iNSD! So much inspiration and great prizes! Can’t wait to get scrapbooking with all of the ideas! Love all the inspiration that I have seen on the blog. Which my Saturday/Sundays are not filled with kids events. That’s a lie, I love it. Thanks again for all the great things you all do for us fans. Thank you for the amazing day of inspiration! You are my favorite stop each morning and I always find something to inspire me. What a fabulous day of AMAZING inspiration to get all our creative juices flowing! Your sponsors, as always, never disappoint and have generously donated some to die for prizes! THANK YOU! Rainbows, circles, and beautiful cardstock! Thank you for all the inspiration shared today! Thank you SCT for such a fun and inspiration filled day! And also those generous great prizes from sponsors! My first dies were Spellbinders and still remain my faithful go-to for die cutting. Thank you for sharing some amazing product to help celebrate NSD. Great National Scrapbooking Day tips, tricks & prizes!! What a fun day! I’m finally all caught up! Now I’ll try to work on the sketch challenge. thanks for the inspiration!! What great sponsors you have! Thank you for such a fun day! I maybe a day late but I’m totally inspired by everything I’ve seen in the hourly inspiration posts! Your prizes are extra exciting! Thank you, SCT and all of the generous sponors! This Spellbinders prize looks particularly amazing! Wonderful inspirational day! This weekend has been the best celebration national scrapbook ingredients day! Thanks for the opportunity too! wow! what a great day! so full of inspiration! I can’t wait to etch out time to use it all this week! thanks so much SCT and Happy iNSD! Thanks for the opportunity for such an awesome gift! 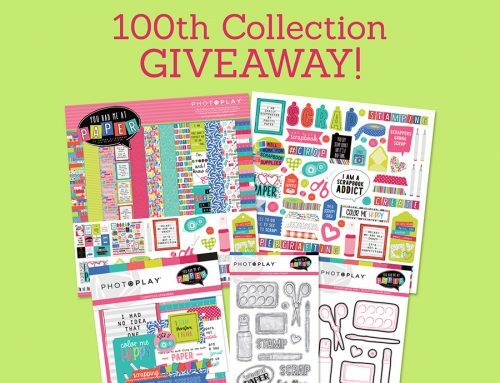 I would love to win this package from Spellbinders! Thanks for the chance to win!! Fantastic prize! Feeling blessed that our craft is recognized internationally. Catherine, your team has never failed to inspire us, uplift us and keep us smiling and today is without exception. You have great partner companies and SCT never fails to bring us inspiration from those companies and so many generous prizes. I just want to take the time to thank you SCT and every single one of your employees for their dedication in bringing all this to us (your fans)and for celebrating so many other occasions with us. Thank you all the great products Spellbinders has to choose from, thank you for a chance to win. Lots of great ideas! You guys rock! What a fun event! I have a mini Sapphire I use when I work overseas. I leave it at the hotel I stay in frequent so I only take paper and other craft materials with me on the trip. I like the compact size and would consider to get another one to use at home since I’m back to planners. Wish everyone luck! Thank you for all the cool ideas and introduction to product over the years! Thanks for the opportunity to win and all the great ideas today! Oh being in Australia I missed the Show so LOVE Spellbinders dies and extras.Is there any way I can watch the day. Sad I missed the day. Looks like you all had a great day LORRAINE Synnott. Thanks for all of the inspiration. Such amazing ideas. Great fun today! Lots of inspiration. This has been an amazing day! I have learned so many techniques and am filled with crafting ideas! I would absolutely love to win this giveaway so I could put all I’ve learned to good use!! Thank you for this awesome opportunity and incredible products! What a lovely prize, thank you SCT and Spellbinders! Thanks to Spellbinders and SCT for the awesome grand prize! Also,thanks for a day of great scrapbooking ideas and inspiration! What a fantastic prize! The winner will definitely create lovely layouts and cards! Thank you for all the inspiration and for the awesome prize Spellbinders! Wonderful day thanks for the chance to win ! Awesome company; awesome prizes; awesome magazine! Thank you for all you do each and every day for the scrapbookers and cardmakers. SCT always provides such amazing inspiration and so many wonderful ideas. All of your generous sponsors also are so very much appreciated for without them we would not be creating such lovely works of art !! Thank you SCT and all of your sponsors and I hope everyone had a a great day!!! Thanks for the very fun daay with so much inspiration.Love Spellbinders . Happy INSD! I spent NSD with four wonderful gals that were introduced to each other at crop and create Cornwall two years ago. We live in Ottawa, Kingston and Brampton and spent the weekend in Kingston – you may have seen our photo on instagram – the gals with the spring hats! We are so grateful to SCT for bringing us together. We are looking forward to Cornwall again this year. Thanks for a wonderful year and many more to come. Such talent and inspiration you have shared with us. So generous of Spellbinders and all the wonderful goodies! Thank you so do much! What an amazing giveaway! Thanks for all of the inspiration. Thanks for the great ideas and the chance to win such great prizes! What a wonderful prize and so much inspiration throughout the day. Thank you! Scrapbooking was fun all weekend ! This has been a great day of awesome inspiration! Thanks to all the the generous sponsors! I love all the Spellbinders products! Thank you for the inspiration! Thanks so much for all the chances to win. You and all the sponsors are all super generous! I love Spellninder’s products! Thank you! I can’t wait to try some of the ideas you just inspired me with! Thank you!! I have loved all the inspiration that the talented designers have shared. Thank you SCT! Thank you for all the inspiration. I have some ideas and need to get started with some scrapbooking. Thanks for the chance to win this awesome prize!! Wow! That’s an awesome prize! Thanks for a great weekend of fun! What great prizes. Thanks for all of the inspiration through the day. Thanks to all of your sponsors for the prizes. What an awesome prize and a fabulous grand finale! Even though I wasn’t able to sit down and actually create anything, it was a day full of inspiration! Thank You!! Lots of inspiration. I should have no problem with my crafting mojo now. Thank you Spellbinders and all sponsors for the prizes. Thanks for the opportunity to win. Love Spellbinders! Great inspiration. Happy International Scrapbookers Day! Amazing prizes! Love Spellbinders. Thanks so much for an inspirational day. What great ideas! Thank you to all of the designers and their time to help all of us! Now it is time to see if I can get a page done! What a wonderful prize to celebrate International Scrapbook Day! Many thanks to Spellbinders for their generosity. Thanks for all of the inspiration you give me ALL YEAR?!! I ??♥️? Your magazine! Also, thanks for the chance to win. Thanks for a chance to win! Wonderful package of inspiration! thanks for a great hop. Awesome finale to an awesome day! So much inspiration with so many different ways to play with our scrappy supplies! PS: Would LOVE that SB prize! What a great prize! Thank you for the opportunity to win. I live spellbinders! Wow! A perfect wrap up! Thank you for all the inspiration and the giveaways. This was a great day of fun, crafting and inspiration. Thanks to everyone! WoW! What an amazing prize package! Happy Scrapping! So cool! Thanks for the chance! Thanks so much for the chance to win! It was a great day! I wasn’t able to sit down and craft on NSD because of work, but I know when I do I’ll be able to look back on all the posts for some great inspiration! Thanks for the chance to win all those fabulous prizes, I’m crossing my fingers! Thank you Scrapbook and cards today magazine for your leadership and kindness to the paper crafting industry. Designer’s do appreciate your product showcasing. Oh way a day!!! It really got my mojo going and I don’t want to stop!!! Best day ever!!! Awesome ideas! Thanks for all the inspiration! Great giveaway thanks for the chance to win. Thank you SCT for an amazing iNSD!! Ooh, I swoon for Spellbinders. Crossing my fingers and toes. Thanks for your kinds words, we love to hear from Spellbinder fans! So many AWESOME prizes! Thank you! This is my birthday month so nothing would make me happier than to win one of these crafty prizes! Hugs. Egads, I really need to win this awesome prize package. Just thinking about how much fun I can have with this good stuff makes me giddy. This has been a great day of inspiration and fun new techniques to try. Thanks for all the fun and all the prizes!! I can’t get over how amazing these hourly prizes have been! Thank you for the opportunity to win! Thank you SCT for an amazing day of inspiration and fun! The prizes are amazing and look forward to seeing everyone’s challenge layout! I wasn’t able to join the fun on NSD but I’m here now checking in. Thanks to SCT, the designers and the sponsors for putting together fun inspiration. And thanks to Spellbinders for this awesome final prize. yay! I haven’t scrapped in months, but now I feel the need! Hmmmm, thought I had posted but I didn’t see it. This is an awesome prize and a great way to wrap up NSD, thanks so much Spellbinders! As usual, an excellent day! Thank you, SCT! What a great job everyone did. Loved seeing all the wonderful designs. Thanks for doing this. Spell infers is wonderful. I enjoy everything I have of their products. I would give this prize a good home? So much NSD fun and awesome giveaways. Thanks so much! What a wonderful day! Every blog post was inspiring and colorful. Every prize is wonderful! Who doesn’t love Spellbinders, so many great crafting tools and ideas. Thank you once again for all the wonderful prizes. It’s been a great day and so many fabulous ideas to try. Thank you also to Scrapbook & Cards. Spellbinders has the market cornered on die cuts. The choice of dies is immense, and the beauty can NOT be surpassed. I have used my spellbinder dies soo much and have had so many complements. My supply of Spellbinder dies needs to be updated and my small (other brand) die cutter has been overused and doesnt cut as well anymore, to be able to possibly win one, would be fantastically great. Thank you for this generous opportunity. Happy Scrapping everybody!!! Great prizes! Thanks for all the inspiration. Love Spell Binders dies. Thank you for an awesome day! Thanks for all the inspiration…love the different products and this hours is very special! Thanks! What an amazing day!!! Love Spellbinders and all of their awesome dies! Thanks to all of today’s sponsors and my favorite magazine. Talk about ending with a bang – I love Spellbinders dies and this is a gorgeous package and a fantastic ending to the day – thank you for hosting us! Lovely! Would love to win! Wow! What a great gift! Super wonderful inspiration. Thank you to all the designers. And thanks to all the lovely sponsors and prizes. Thank you so much Catherine! Such amazing inspiration! Hello, I love SCT! Have been getting your magazine and planner calender for a while now. It as so well done with an incredible amount of great, fun and do-able ideas. Thank you so much. And I have wanted this great little die cutting machine and the magnetic diamond for a long time, I just know you will pick me! Yay!!! Yes, indeed, a grand prize. Love all the inspiration, what a great team of designers and products. Thank you SCT, you are the best. Great day of inspiration. Thanks for the chance to win all these fabulous prizes! Unfortunately I missed NSD but I am catching up on everything today. Thank you for hosting such a fun event and leaving it open so even if we couldn’t participate on the day of we can set a day aside this week and have some fun. Thank you for a day full of inspiration! I’m repeating myself, but thank you for all the time and effort that went into making this event happen. The Sponsors are always so wonderful in supporting the community in concert with SCT. Good luck everyone! Great inspiration through the whole event! Thank you for all of your time and efforts! A lovely day spent crafting with my friends – thanks to SpellBinders for supporting SCT! Thanks for a fun day and chance to win! Thanks for the chance to win that amazing prize! WOW!!! What an incredible prize!! Thank you for the opportunity! Thanks for all the great prizes and inspiration today! Thank you for all the inspiration. Thanks for a great day of scrapbooking inspiration and a chance to win prizes. This would be an amazing prize! Thank you Spellbinders for a chance to win these awesome goodies! Thanks for a fabulous NSD celebration! All of the prizes are a welcome addition to any crafter’s stash and your sponsors are all wonderful to participate in these giveaways. So much fun with NSD…wouldn’t it be grand if every day was NSD!!! Incredible prize pack from Spellbinders! Catherine, you and your team do an amazing job of inspiring us, showing us the latest and greatest tools, and providing us with awesome events to attend across Canada. Thank you for all you do! I just bought the Tool In One and love it! Thanks for such a great day of inspiration! So many fantastic designs by the team. And such great sponsors! Thank you SCT for the years of joy that you bring to us scrapbookers! You are simply fantastic.Happy INSD! So much amazing inspiration in one day! Thanks for the many chances to win your great prizes and thanks to all those companies who’ve so generously sponsored this! Awesome prizes today! Thanks so much to all the wonderful sponsors! You are all amazing!!! I’m sorry I didn’t get to join in on the actual day, but glad I now had time to go though each post. Wonderful inspiration and of course, fabulous prizes! 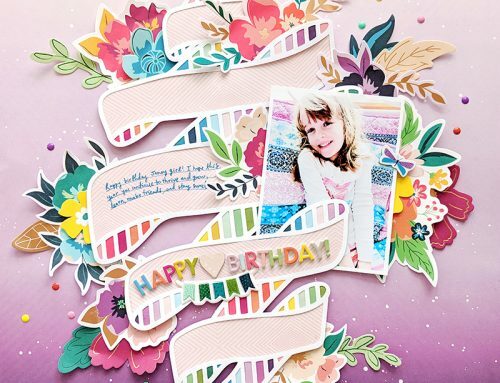 Spellbinders started the die cut scene with their innovative dies and machines…they continue to tantalize with trendy designs and latest tools! Salute! Thanks again for the awesome prizes and the chance to win! So much inspiration from everyone. Hard to pick a favorite project. Awesome prize from Spellbinders. Thanks for the chance to win. Wow! Spellbinders is so awesome! Love creating with their products! Happy NSD SCT! Thanks for such great inspiration. All of the layouts posted today were gorgeous and inspiring. The generosity of all the companies is beyond amazing. Thank you for all you do SCT, you rock! Great end to another wonderful event! So glad I was able to participate and get another round of amazing inspiration from the team. Thanks so much to Spellbinders! Ohhhhhh Look at those dies for arrows! Much needed supplies!! Thanks! ? Thank you for an amazing day of inspiration – I have a few more ‘go-to’ layouts in my scrappy tool box thanks to your amazing design team! Happy NSD! Awesome Giveaway! Thank you Spellbinders for the opportunity to win such a great prize! I really enjoyed reading and viewing all the projects for iNSD. Truly inspiring. What a talented team you have. Thanks for the chance for this giveaway and all the giveaways offered. LOVE the great products your creating. Thank you for putting creativity back into scrapbooking! Thank you for the inspiration! I love your daily FB posts too. Happy interNational Scrapbook Day! Love Spellbinders! Thanks for the opportunity to enter and try to win! What a great prize package! Thank you to SCT team and sponsors for a fun day and lots of inspiration to fuel us for quite a few weeks. This is awesome loved the ideas and challenge! Wonderful prize package thanks so much for the chance to win! Wonderful, would love to win such a super prize! Wish I could have joined in live. Thanks for all the inspiration you give us every day. Thanks for all the inspiration! What a wonderful prize from Spellbinders. I would love to win it! This is a great beginning for someone getting started with using cutting dies. Wow, what a great prize! Wow! I’d love to win! Awesome prizes. I love Spellbinders products. I’m still getting over a strange virus so no crafting was accomplished today but lots of inspiration. Thanks for an awesome day of great inspiration and the chance to win amazing prizes! Thanks for the fun posts and inspiration. I enjoyed the whole thing. Love Spellbinders dies, die cutting machines, and all the fun goodies and there is no better way to end a fun SCT day than with prizes like this. Now to play with some of the ideas from the whole day and was sorry that I had to work and miss it. Thanks for all the fun. Thank you for this amazing, inspirational day! I saw Lots of great ideas as well as wonderful prizes. Happy International Scrapbook Day to you all. What a great package! Thank you for a chance to win! SCT nothing short of AMAZING! You are the best and that is clear by the great support from your sponsors! Thank you Spellbinders that would be an awesome prize to win – your dies are amazing and help keep scrapbooking on the simple side! So much inspiration and generosity today! Thank you SCT for putting this together for us on iNSD! What a fantastic way to sign off from a perfect day. Love Spellbinders dies and this new machine looks amazing! Thank you SCT and all sponsors! Wow – what an amazing NSD! I was here in spirit and have enjoyed seeing all of the fabulous layouts and inspiration from the post each hour. The partnership for prizes are incredible! Thanks for sharing such a great day with all of us. I managed to get 3 layouts completed and 2 more smaller versions as gifts. This was a wonderful day! Can’t wait for next year! So many fabulous ideas. Thank you so much for all your inspiration! Cant wait to get started on all the things running through my head! Thanks for so many great posts on NSD! What an awesome prize from Spellbinders!!! :O Love it! Thank you very much for the chance to win! Thank you for all the fun and inspiration!! What a great way to spend NSD! What an amazing prize! Winning would certainly help get my card making and scrapbooking mojo back.